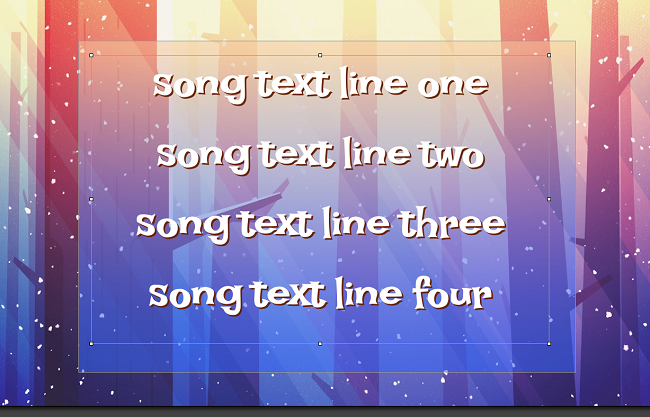 Following our blog post about fonts for Christmas, I wanted to create a song theme design for your worship service using one of the fonts. I chose the Lakki Reddy font, which you can download for yourself here. The font lends itself to something a little more whimsical for a design and it’s Christmas, so I went with it! And here’s a breakdown of what it’s made of. I used the new Sunny Winter Forest motion from Dan Stevers. Add the Sunny Winter Forest motion as a background. Select Background under the Slide option. Select the Sunny Winter Forest motion from your video media library. 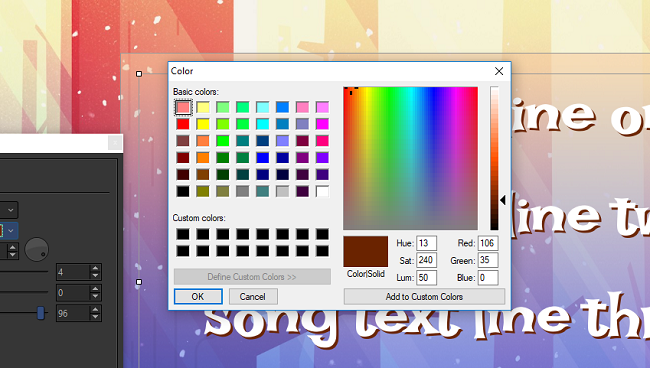 Resize the text box to fit the text as shown in the image below. Add another text box by selecting the “Text” button on the top bar. 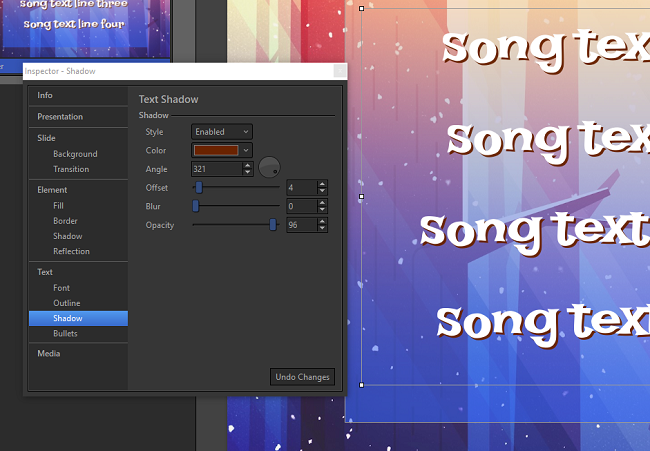 Resize the additional text box to the size of the gradient text box in the picture above. If you wish to remove the text for these additional text boxes to make it easier to work with, just double click and press the space bar. Keeps the “Double Click to Enter” from showing up. 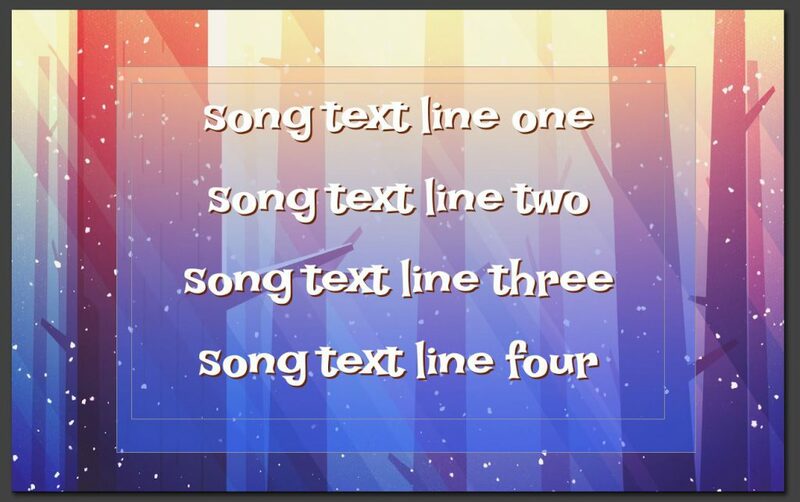 If you notice, the two text boxes aren’t equal. I think this adds to the quirkiness of the designs, but if you want everything perfectly lined up, feel free to do so. Select the additional text box, and then go to Inspector and select “Fill” under Element. 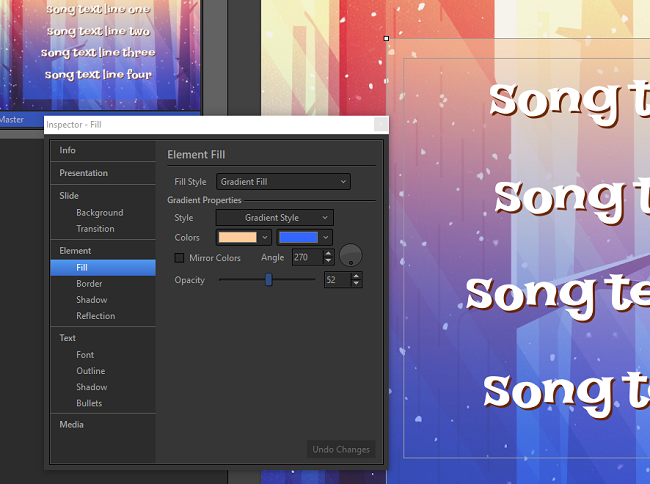 For the Fill Style, select Gradient Fill. For the Style, select the first option under Horizontal. 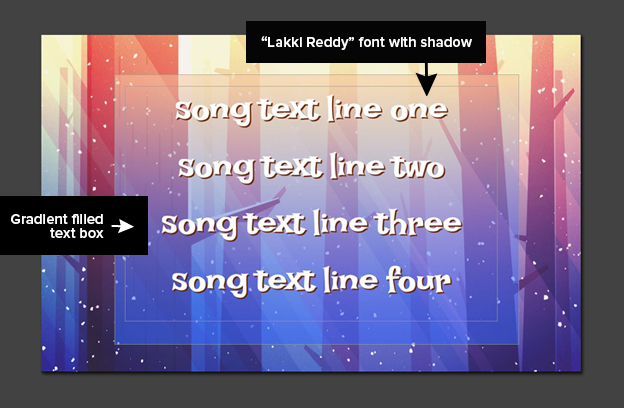 In Inspector, select “Font” under Text and change the font to Lakki Reddy. Close Inspector, name this new Theme and select OK. You’re finished! As always, feel free to adjust spacing, opacity, shadows, color or anything that you think will make this more readable for your house of worship.